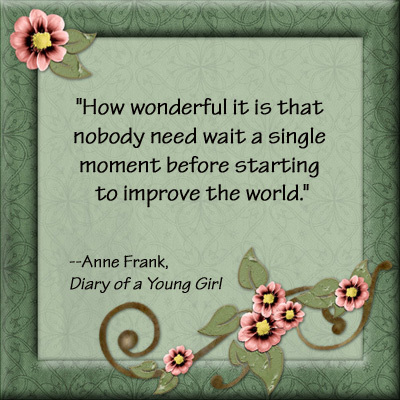 Want To Heal The World? Fear Is Not An Option! We need to heal the world. And it’s not a big thing. 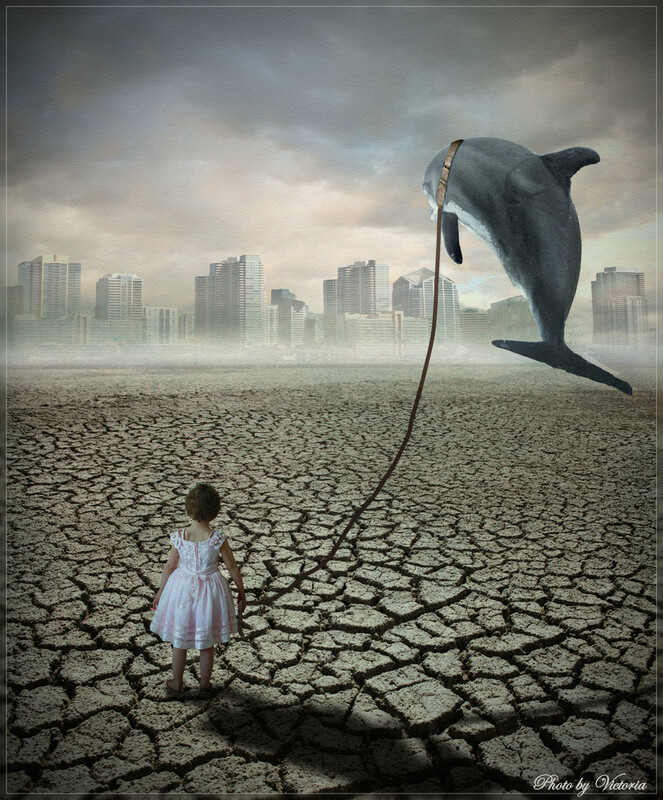 It’s only a bit fear that is in our way (“Your fear is 100% dependent on you for its survival” ~ Steve Maraboli). 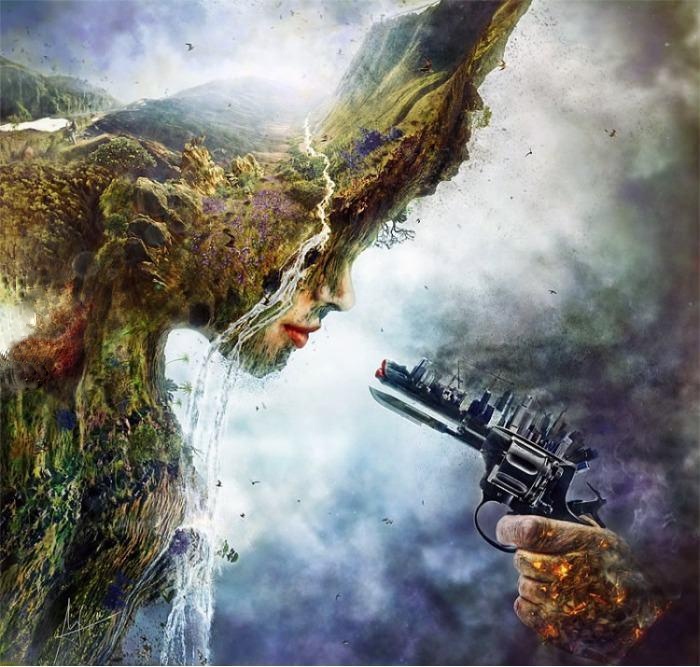 Humanity is awakening more and more, partly induced by the many crises we have created collectively. In this awakening process, enlightenment plays a pivotal role. But it comes at a certain cost. As Adyashanti explains: “Enlightenment is a destructive process. It has nothing to do with becoming better or being happier. Enlightenment is the crumbling away of untruth. It’s seeing through the facade of pretence. It’s the complete eradication of everything we imagined to be true.” And Carl Gustav Jung also knew it already a long time ago: “There is no coming to consciousness without pain. People will do anything, no matter how absurd, in order to avoid facing their own Soul. One does not become enlightened by imagining figures of light, but by making the darkness conscious.” So this means that healing the world is very much possible but it requires some creative adaptation, a new mindset maybe. We were taught to “face reality” before we understood that we were creating it. Feeling you are a victim is an illusion. Because everyone is a creator. Here are some tips from Robin Sharma for becoming a person that is really willing to heal the world. Umberto Eco’s statement “Was zählt, ist was ich nicht gelesen habe…” is a good representation of the vast amount of knowledge humanity already has available collectively. But can we even comprehend how much knowledge there is collectively? If you take a look at the circle figure, it gives a (not fit to exact scale) image of knowledge distribution. 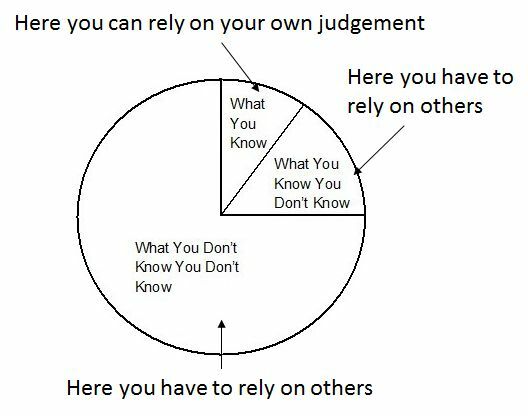 If we would be able to count all the existing knowledge and map that onto what a single human can comprehend in his/her own brain (the “What you know” segment in the circle), then the segment would be probably invisible in this picture. The same is probably valid for the segment “What You Know You Don’t Know”. 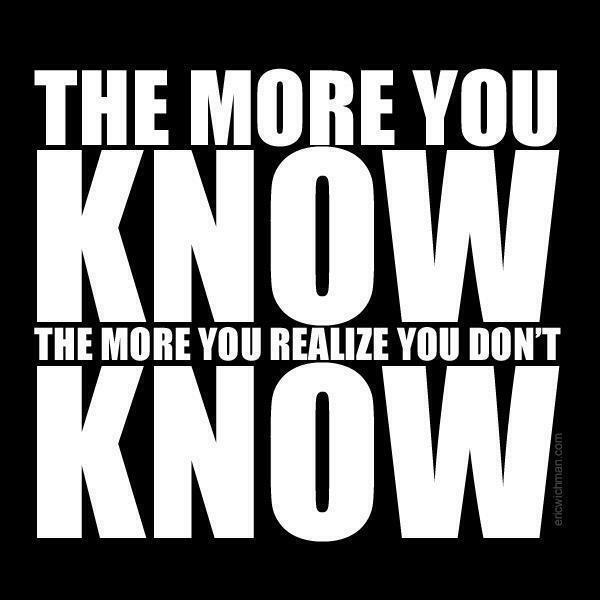 Which leaves almost the full circle for the “What You Don’t Know You Don’t Know”. So in the end, you don’t know anything significant. So you have to realize that you will probably never make it through the whole circle, it’s just too much. So you have to rely on others. You have to rely very much on others. And be prepared to accept that others have knowledge you don’t have. And that ‘external’ knowledge might be very valuable, so you have to consider linking it to you own knowledge. This all starts by trust. The more you trust another’s knowledge and the better you and the other are able to link your mutual knowledge, the more you’re knowledge together can grow and add value. Create something more beautiful together than if it was based on your sole knowledge. So stop trying to control others by knowledge you yourself don’t have, start trusting others to fill in part of the puzzle. Make knowledge work together. 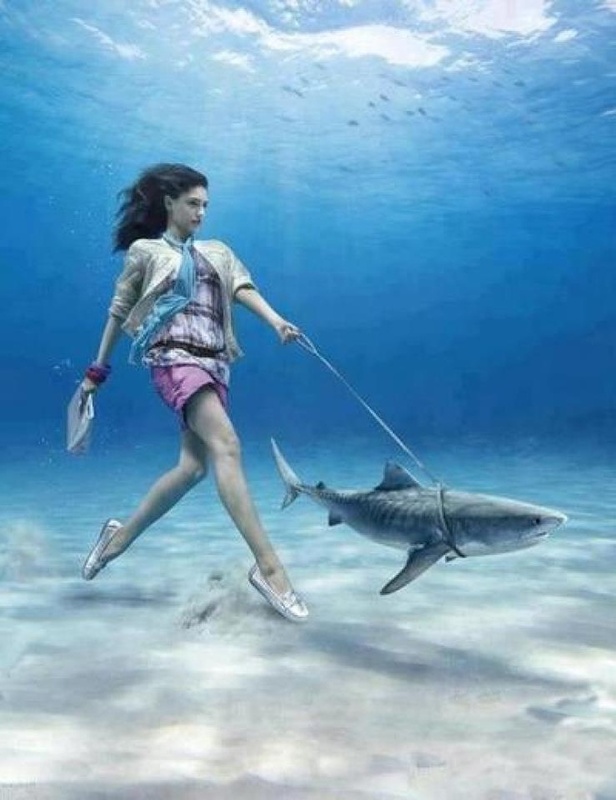 Extreme Ecological Scenario’s: Should I Walk My Shark Or Fly My Dolphin? For those of us who believe anything can and should be organized in layers, stacks, domains, groups, categories, hierarchies, taxonomies, (black)boxes or any other ‘labeling’ constructs, Maslow’s hierarchy is of course a splendid reference framework. You can kid yourself into thinking that you need to have to fulfill the basic needs of feed and water first (the lower layer) before you can for fulfill the needs to (for example) be creative (the upper layer). Of course this is pure nonsense. 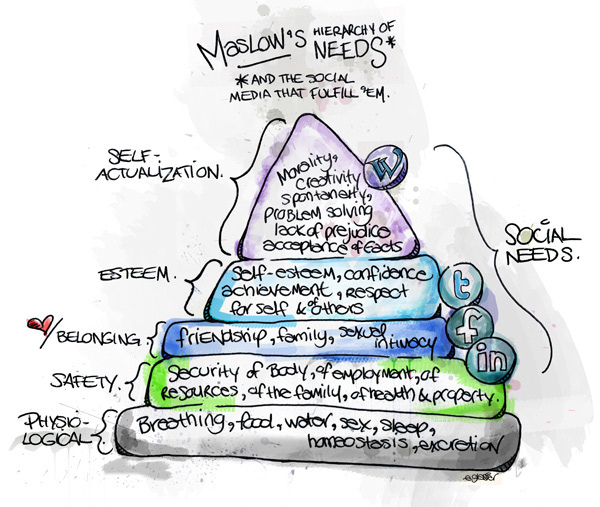 Your needs can be fulfilled without putting them in a hierarchy first. 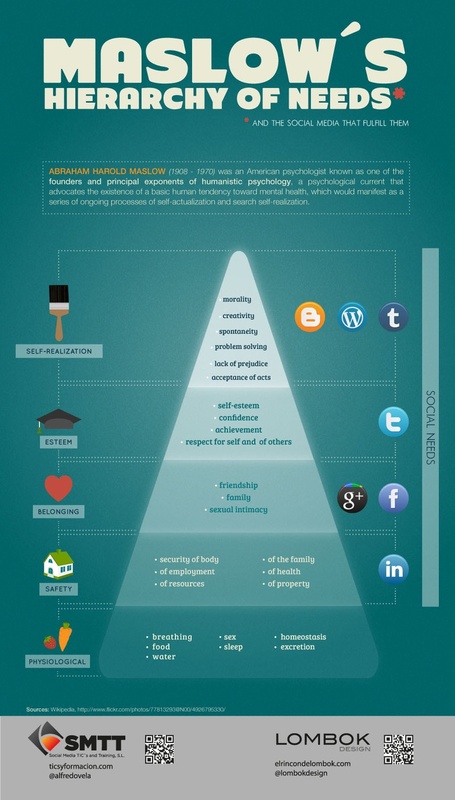 What if we consider adding Social Media viewpoints to Maslow’s hierarchy? Would it mean that to have the needs of safety fulfilled you need to be on LinkedIn? Or thus it mean that LinkedIn helps in fulfilling the needs of ‘security of employment’ only? If that is the case, then maybe we would also need Social Networks for fulfilling the needs of ‘security of body’, ‘security of resources’, ‘security of the family’, ‘security of health’ and ‘security of property’. That is, if you take the figure in the top left as a reference model. And to support those Social Networks, what Social Media would be helpful there? Anyway, hatever viewpoint you find attractive, it looks like there is still a lot of development to do in these areas, both in terms of rethinking of ‘hierarchies’ and in terms of rethinking of the added value of social networks and the social media that support them. Demi Lovato has a good point. Her quotes: “The mirror can lie. Doesn’t show you what’s inside. And it, it can tell you you’re full of life. It’s amzing what you can hide just by putting on a smile.” can get you thinking about how the outside can trick you. If you look into the mirror, you will never see the beauty you have inside. But once you dive a bit deeper, you will start to see and recognize the beauty that is inside. It’s inside every human begin. In fact, inside every living being. Beauty. It’s there. So the next time you look in the mirror, and it lies to you again, take some time and think about your true inside. Think about the beauty you possess inside. 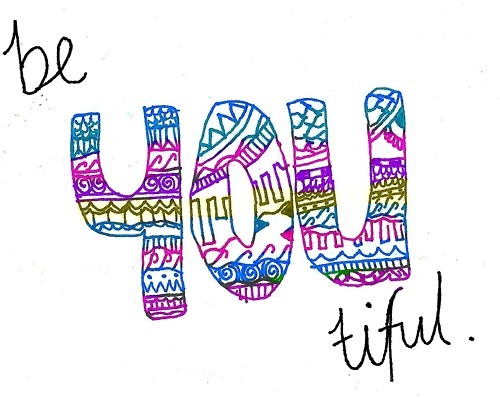 Because you are beautiful. And by accepting for yourself that you are beautiful, you will have a stronger feeling to not try to live up to the external imposed, illusionary standards of someone else’s ‘reference’ beauty. You will truly start to discover your beautiful self. And you will see that to be-you-tiful can be very beautiful. Beautiful, isn’t it? We humans have come a long way. We finally have arrived at a crossing point in our history where we are able to communicate to each other using a variety of channels. The vast knowledge we have gathered together in books and other media is now starting to become available to an increasingly larger community. This is not in the last place thanks to the possibilities of Internet. So we are starting to finally understand what we probably have always intuitively understood al these thousands and thousands of years that lie before is. 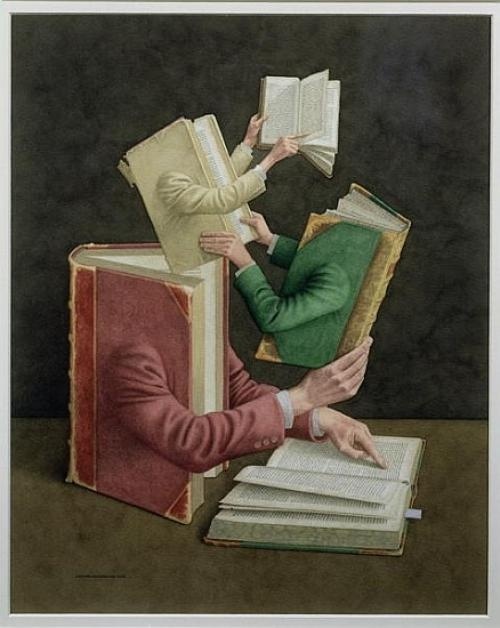 We are now entering the stage where knowledge becomes abundantly available. There will be less and less secrets to keep for each other. Privacy might become the next illusion. Because of this global consciousness we are achieving, we are also increasingly seeing the parts in our world that need extra care. And due to this oversight, we are better able to organize this care for each other. 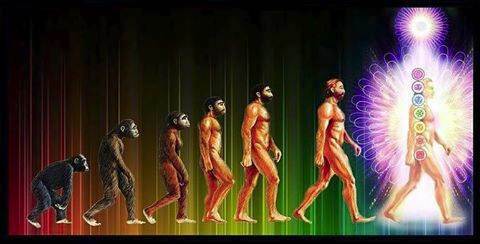 So you might say, we are slowly but surely preparing humanity for spiritual evolution. So that we can enlighten and help each other as it was mentioned from the beginning. So if we check the evolutionary checklist, we are now ticking the last box. On our road towards a new Golden Age. If we all want to, it can be achieved. All building blocks are in place. 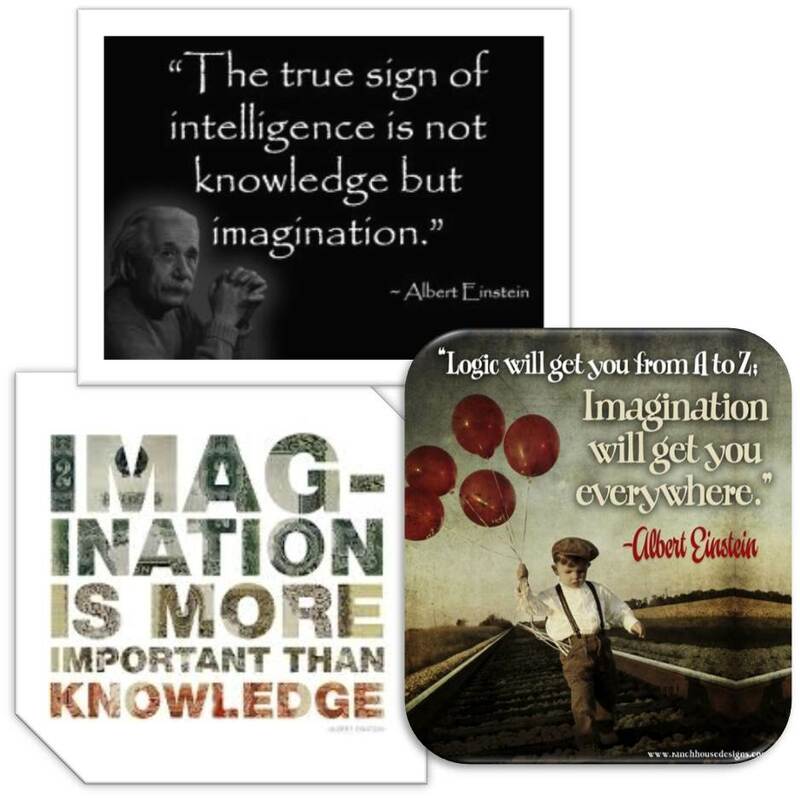 When Einstein was developing his theories, he discovered the power of imagination. Quotes like “The true sign of intelligence is not knowledge but imagination”, “Imagination is more important than knowledge” and “Logic will get you from A to Z. Imagination will get you everywhere” are proof of that discovery. But there is a big downside to imagination. People that can imagine a great new world are often frightening the incumbents. That’s because they will have fear to change. They know what they have. And even if that’s not perfect, it’s stable. So they don’t want to have the inconveniences of change. And they sustain the world in it’s current state. But if we really want changes (for example getting usout of the crises we all created with our incumbent strategies), we need to allow for some inconveniences. We need to un-learn and re-learn. We need the power of imagination because it can help us. And we don’t need to worry about it. Things will turn out fine if we change. Fear is not an option. 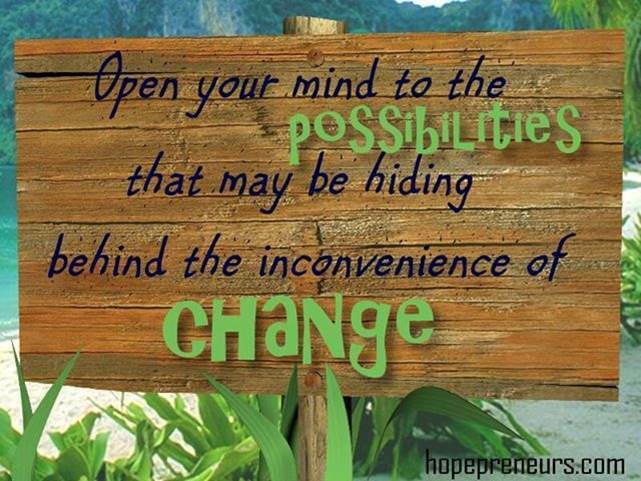 Especially if we are willing to open our minds to the possibilities that may be hiding behind the inconveniences of imagination.